Every now and then I get nostalgic for the good old days. Do you remember rotary dial phones, dial up internet connections or your first cell phone? How did we ever survive without a smart phone, wifi and GPS? Technology has come so far, so fast, and I for one am very thankful. Web design has also evolved at an incredible rate since 1991. 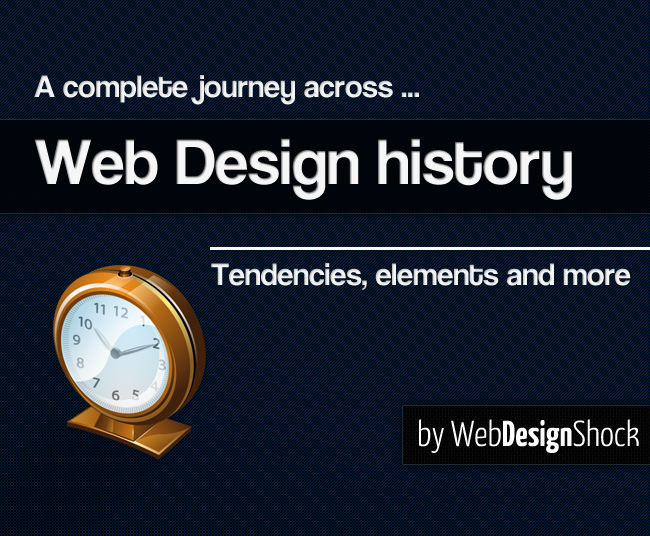 Enjoy a first hand look at just how far web design has come in the last twenty years with WebDesignShock Editorial’s “Web design history, a complete journey.” We know you will laugh, cry and also be thankful for the incredibly talented web designers of today. Portfolios are pretty, but do you check references?